Being in the music industry inspires you to do a lot of things. Some of these artists enter the industry sparkling clean, but at the end of it, they come out not so clean in so many aspects. Take an example an artist like Justin Bieber. He entered the music industry as a teenager and released one of his hit songs “Baby” and now he is a completely changed man. He is out there fighting, partying and drinking plus getting tattoos all over his body. Maybe the fame got to him (only Hailey can change him) , but he isn’t an exception. Let’s see some of the most tattooed artists in the music industry. 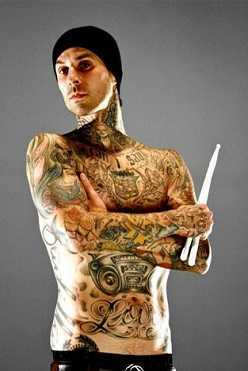 He is a member of Blink-182, and there’s some doubt if he has any more space on his body for one more tattoo. His body including the whole of his head is covered in tattoos. The gas-masked mascot on the back of his head and the Virgin Mary are the most significant. 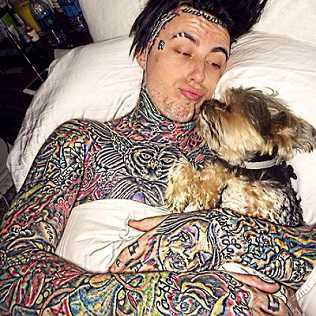 Falling in Reverse’s Ronnie has almost no left space for tattoos. 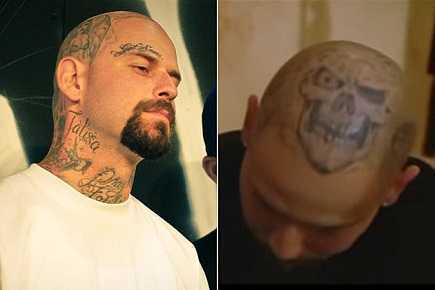 The ink is widespread on his whole body to the head and face. The shark on the right side of his head is a good one, and he also has a Rolls Royce logo next to his eye. First, congratulations to his tattoo artist. 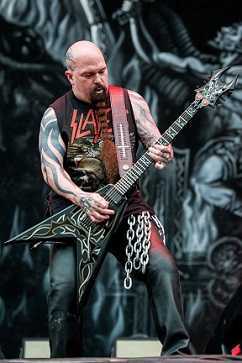 Kerry King is a hard rock/metal artist whose whole body is covered in tattoos. They make him look intimidating and span all over to his head. The dragon-like design tattoo on his head is pretty cool too. Not sure if she would even appear naked without clothes. She is literally covered in tattoos, and she might not have any more space to add even one. Bif is a Canadian rock artist. The rock music artist formerly of Biohazard looked like a hazard himself. He has so many tattoos covering his whole body to the fingers. He also had some mean looking tattoos on his chest and neck. His tattoos are personal to him, and they started way back. The number of tattoos on his body is not known for sure but its estimated he has over a hundred of them. 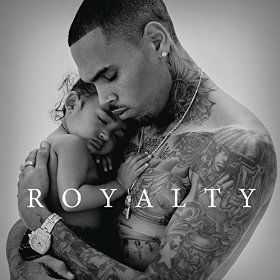 He got his first tattoo when he was 13 years old, and one significant tat on his body is that of Royalty, his daughter. The number of tattoos he has might be infinite. I doubt he personally knows all the tats on his body. They start from his face, head to the whole body and he isn’t sorry for that. The tats have transformed his look according to some of his fans, but he doesn’t care. He has made his way on this list because soon, he might end up running out of space on his body for more tattoos. He recently had a tattoo covering his chest, and his fans weren’t so happy about it. The lion tattoo on his chest sparkled a lot of mixed feelings from fans and critics alike. 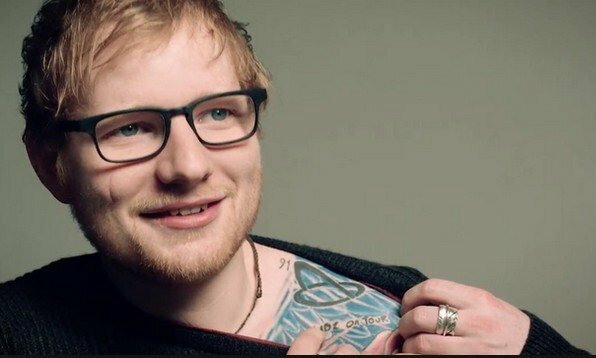 He had the tattoo after his show sold out and critics were wondering how often he will have these tattoos, if he is to do it after every show sells out. She is an Australian actress, model and recording artist with tattoos all over her body she might get mistaken for Bieber. She has more than 70 tattoos with the word love tattooed behind her ear. How could he be left out on this list? Since he left One Direction and went solo, the number of tattoos in his body increase by the day. He will soon run out of real estate for more. He is known to have more than 60 tats on the 25-year-old body. 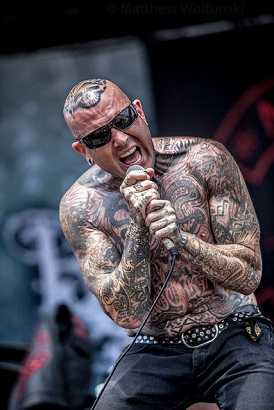 He is a vocalist for the band the Transplants and is covered in tattoos. Soon enough he might also lack space to add one more. He has an evil skull as the centerpiece, and a female portrait can be seen from the side. Wil is a band member for the band Aiden and a good one too. He looks like a character from a horror film thanks to all his tattoos and weird makeup. 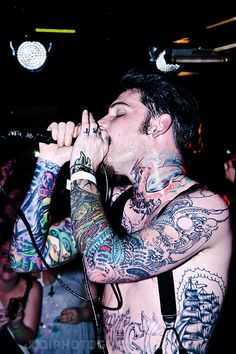 He is covered in tattoos spanning to his head. He is one of the artists who boasts of the biggest assortment of tattoos on his body. 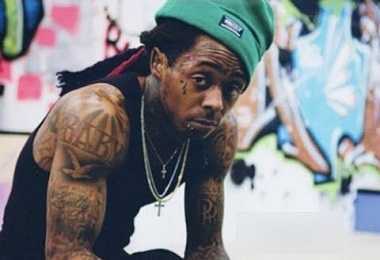 Lil Wayne has more than three hundred tattoos and among them are the letters “M.O.B” plus a cloud lightning bolt on the upper cheek. He also has an on-call tattoo artist who did most of his tattoos. Believe it or not, Depp is a singer, song writer and a multi-instrument player. Most people are used to Johnny Depp or Jack Sparrow the ever drunk actor. He has so many tattoos, and the most significant ones are the name of his daughter on his chest and the love of his life, Wino. And oh! just in case you don’t know, Johnny Depp is an expert piano and guitar player, music being his first love and he loves to be referred to, as a musician.